Along the sidewalks of Lahore, Pakistan’s second-largest city, men stroll casually, sometimes pausing to enjoy the beauty of their surroundings or to rest briefly under a shady tree. The city’s streets are filled with men: enjoying its markets and parks, filling buses and trucks, and driving motorcycles and three-wheeled rickshaws. For the women of Lahore, the experience of walking through the city is not quite the same. There are far fewer women visible in public spaces, and those who are often seem less relaxed and more focused, sometimes even nervous. But there are always exceptions. One of those is Saniya, a 43-year-old mother of two. Saniya has never spent a day in school, but the desire to improve her life led her to teach herself enough math to develop an understanding of business. “The day I realized that if I bought a mobile phone for Rs 3,500 [about US$33] and then sold it for Rs 5,000, I’d make a profit, was the day my life changed,” she says. That experience led to her going out on a regular basis in search of various business opportunities. 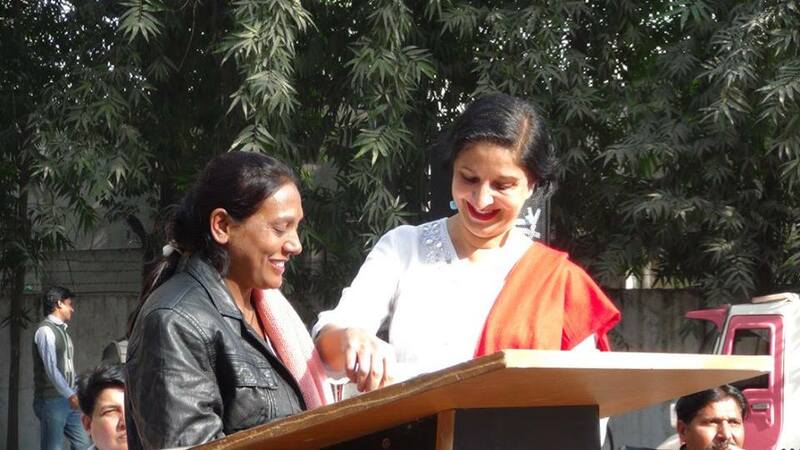 “Then one day I heard about the Pink Rickshaw Initiative for women,” Saniya explains. After researching it online, she knocked on the door of Zar Aslam, president of the Lahore-based nonprofit Environment Protection Fund (EPF) and the founder of EPFs Pink Rickshaw, a transportation service initiative that uses exclusively female drivers to pick up only female passengers. 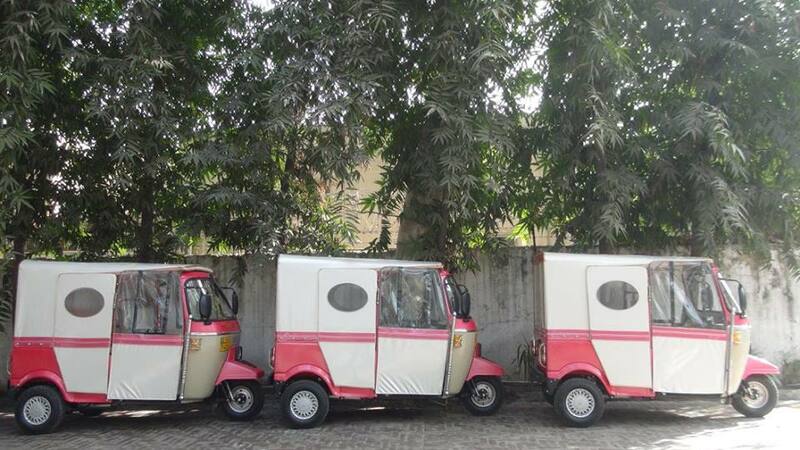 When Aslam first came up with the idea for Pink Rickshaw in 2015, she had two objectives: first, to financially empower women who wanted to work hard—and on their own terms—by training them to drive rickshaws and providing them with vehicles at affordable rates; and second, to create a safe environment for women who often avoid going out alone for fear that men will harass or even assault them. Aslam herself had been harassed while riding in a rickshaw many years ago, as had Sara Naseem, EPF’s country manager. 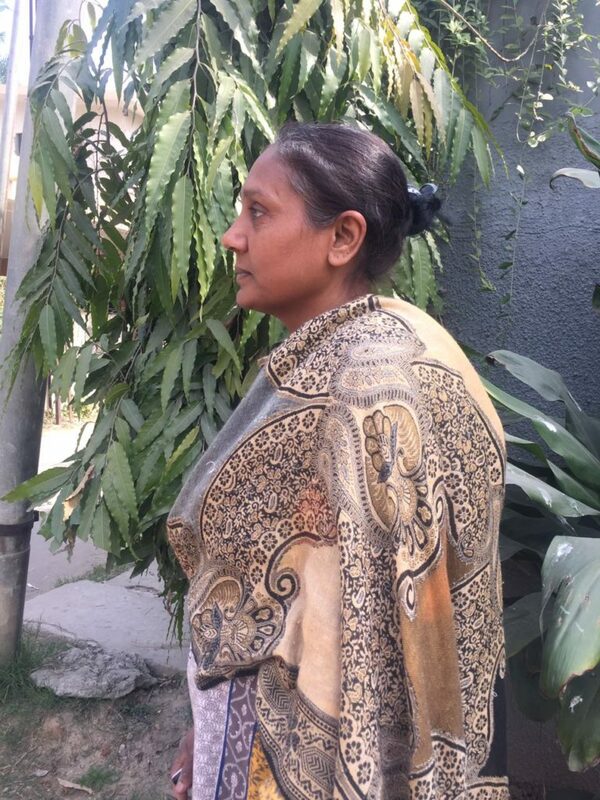 Nasreen, 35, used to work at a beauty parlor in Lahore where she heard from the salon’s female clients and workers about the harassment they faced while travelling around the city. “In the salon, it’s most comfortable to wear jeans and a T-shirt, since we are running around all day. But walking the streets in those clothes, or even catching a male-driven rickshaw in jeans, is not comfortable,” says Nasreen. “The ladies changed clothes once they got to the salon and then changed again to head back home,” she says. That was until Nasreen, with help from EPF, learned to drive a rickshaw, received her license, began paying for her rickshaw—and started driving her colleagues to and from work. It’s a win-win situation: the salon workers pay the same amount for transportation as they would if they rode in a conventional rickshaw, but with added comfort and security, while Nasreen makes more money than she earned while employed at the salon. In contrast to typical rickshaw operations, EPF does not impose rules about how much the drivers have to work. Instead, the women set their own hours. EPF trains the women to drive, purchases rickshaws that they then sell to the drivers—who pay for the vehicles in monthly installments, at less than half the original cost—and provides them with encouragement and a support system. Rehana, fondly known as Bubbly, is one of the 11 current drivers who needed more encouragement than usual. “I used to clean other people’s houses for them and I hated it. I didn’t like the idea of being someone else’s servant, but what could I do? I had no skills and I had to feed my kids,” says Bubbly, who separated from her husband a few years ago. “I always felt defeated. Even when I began my training and I was finally learning a skill, there were so many points where I just wanted to give up. But Aslam never let me quit. She held my hand at every point,” she says. EPF’s Sara Naseem explains that because women are often told that they are worthless, they eventually internalize this negative message. “It’s part of our training and our support network to remind them of their worth and all that they can financially accomplish,” says Naseem. If most women in Lahore don’t feel safe on the city’s streets, then how do women like Rupa, Saniya, and Bubbly? First, EPF has installed tracking devices on every rickshaw, so that someone at the organization’s office can always be aware of their movements and location. Second, many drivers now have fixed routes with which they are familiar and regular clients with whom they have developed relationships—both of which help to minimize their security concerns. And third, these women are exceptional. They are braver than most, even trailblazers. When asked if men ever harass her while she’s driving, Saniya confidently responds, “Sure, if they want me to harass them back!” She adds that if she is working to earn an honest living, why would she be afraid of anyone? If someone bothers her, she will defend herself. Similarly, Nasreen is known for confronting male rickshaw drivers if they cut her off or try to take her regular parking spot. “I’m not afraid of anyone. I have faith in myself and my abilities, and I will demand what is rightfully mine,” she insists.Although women make up only a tiny fraction of all rickshaw drivers in Lahore, their numbers are slowly growing. “When women see me on the road, they ask me how I learned to drive a rickshaw. They ask me why I’m not afraid of being out in public. 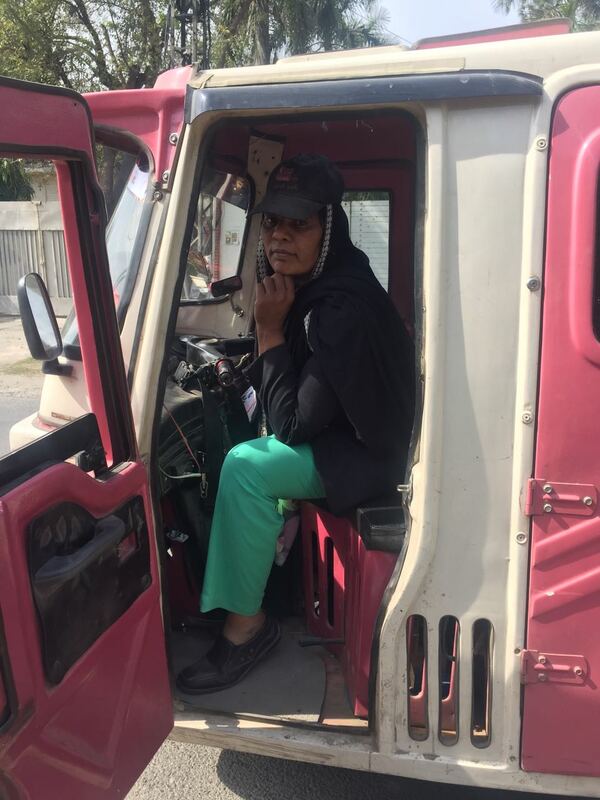 And when I tell them about the initiative and that fear of public spaces only exists because enough women don’t get out, they then ask me how they can get involved—and that makes me really happy,” says Saniya, right before she drives away in her brightly-colored, pink three-wheeler to pick up another client.